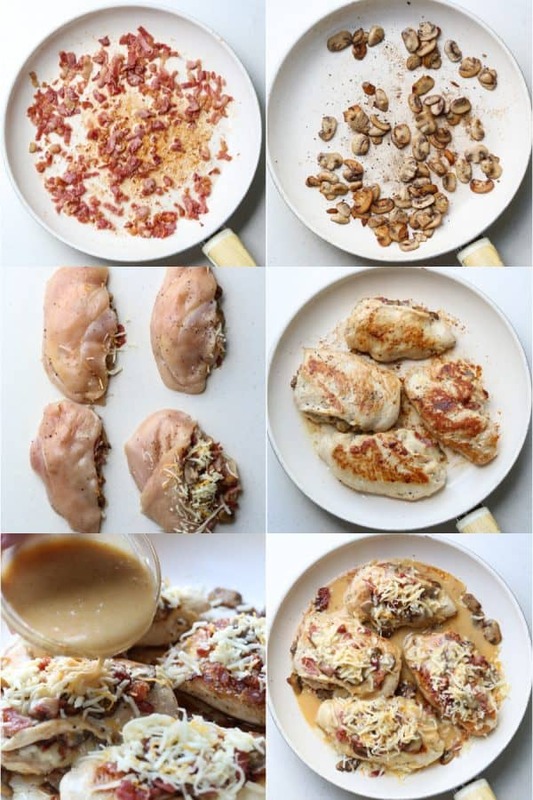 This cheesy Bacon Mushroom Stuffed Chicken recipe smothered in a homemade honey mustard sauce is going to become an instant hit with kids and adults alike! 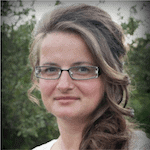 Friends, meet Valentina Ablaev of Valentina’s Corner. We are delighted to have her begin guest posting on our blog! I met Valentina several years ago through blogging and we have been friends ever since. Valentina is a gem of a person and she sure knows her way around the kitchen (read more about her below). I know you all will LOVE her recipes! Pin this recipe to your dinner board HERE! Tip: Be sure to use an oven-safe skillet. If you don’t have one, transfer chicken to an oven-safe dish once the chicken is cooked at step 7, then, continue with instructions. Prepare sauce: Combine the ingredients for the homemade honey mustard, set aside. Gently cut through the center of chicken creating a pocket. Don’t cut all the way through. Season both sides of chicken. 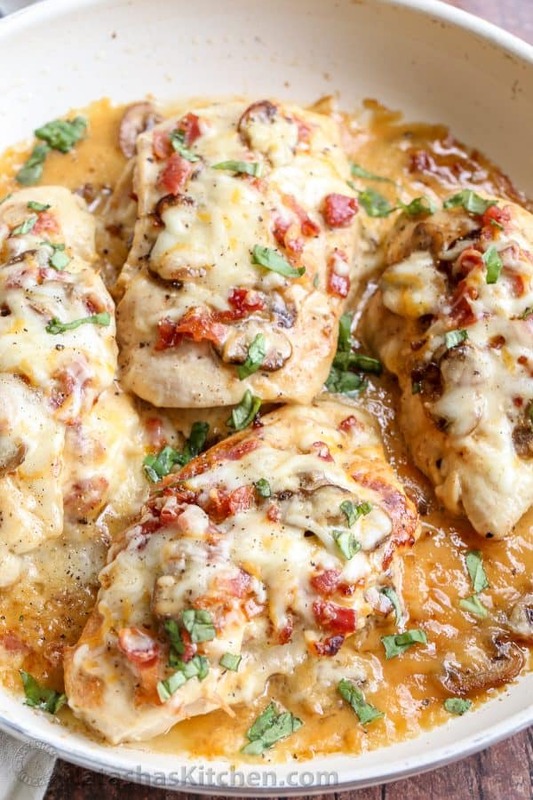 Stuff chicken with cheese, mushrooms and bacon. Gently secure pockets with a toothpick, optional. 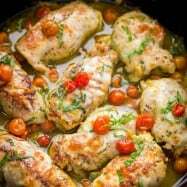 Brown chicken in skillet and fully cook. 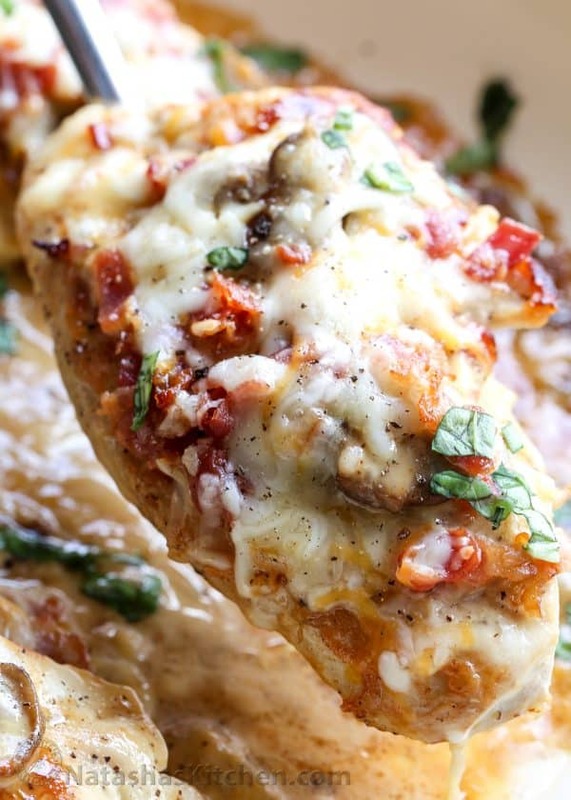 Top chicken with remaining bacon, mushrooms and cheese. Drizzle honey mustard sauce over everything. Cover dish with foil and bake. How to make a homemade honey mustard sauce? There is just something about making your own sauces or dips at home. You can skip the added ingredients that preserve them. Homemade is always best. This honey mustard sauce is no different. The sauce has a sweet yet savory taste, a wonderful balance. Combine all of the ingredients for the sauce and you’re done. So easy! 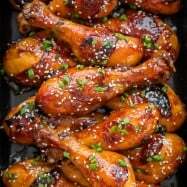 What can I serve stuffed chicken with? You can serve the dish with your favorite side. A baked potato, Creamy Mashed Potatoes or rice will all work wonderfully. A side salad like this Spring salad is the perfect finish to the meal. Colby Jack cheese is best in this recipe. However, Four cheese or Mexican will work as well. Tip: Cheese performs best when a block of cheese is freshly grated. There are fewer additives in a block of cheese then there is in shredded store-bought cheese. Do you have a particular food you distinctly remember enjoying as a kid? Perhaps mac and cheese or chicken tenders? For me, it’s chicken tenders. Well, friends, this here is a fancy adult version of every kid’s favorite combination of chicken tenders dipped in honey mustard sauce. Something about this recipe brings back childhood memories – except it’s a whole new level of delish, and very adultlike, yes that’s a thing now;)! 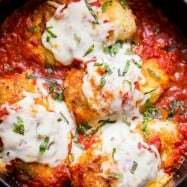 Stuffed Chicken Parmesan– kid approved and loved! Broccoli Cheese Stuffed Chicken- the secret sauce is the boss. Stuffed Chicken Thighs & Cauliflower– chicken + cauliflower = YES!. Ham & Cheese Stuffed Chicken– a lighter version of chicken cordon bleu. This cheesy Bacon Mushroom Stuffed Chicken recipe smothered in a homemade honey mustard sauce is going to become an instant hit with kids and adults alike! 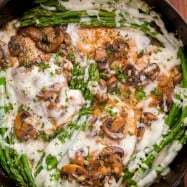 An easy one-pan dish for busy evenings! Turn oven on to 350°F at step 7. Prepare honey mustard sauce. Combine the ingredients for the sauce, mix until well incorporated. Cut bacon into small pieces. Sauté in a large skillet until cooked, stirring frequently for even cooking. Remove bacon. Reserve 1 tsp of the grease drain the remaining grease. Add the mushroom reserved bacon grease and sauté until browned, lightly season with salt and pepper. Remove from pan, set aside to cool. Gently cut through the center of chicken breasts creating a pocket. Season chicken with salt and pepper. 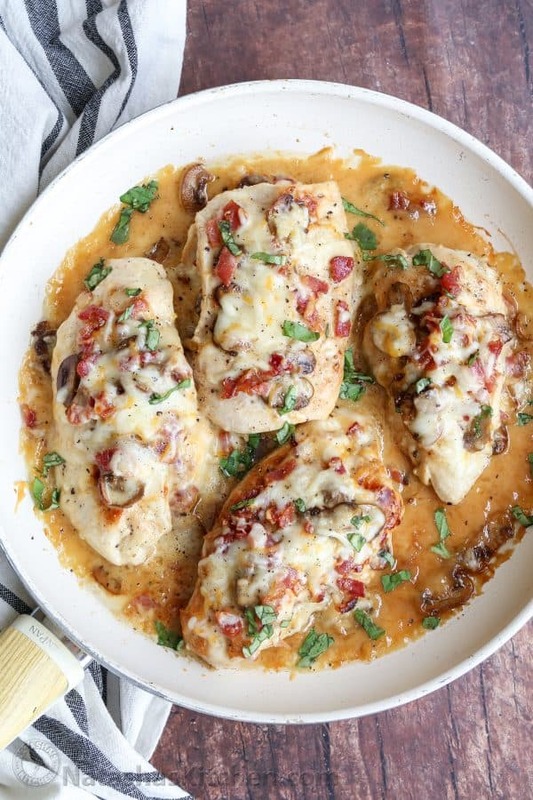 Open the chicken breast, stuff with cheese, mushrooms and bacon. Gently secure pocket with a toothpick. On med/high heat, add 1 tsp oil to skillet. Once hot, carefully transfer chicken to skillet. Sautee chicken 4-5 minutes per side until fully cooked, flipping halfway (cooking time may differ, depending on the size of the chicken). 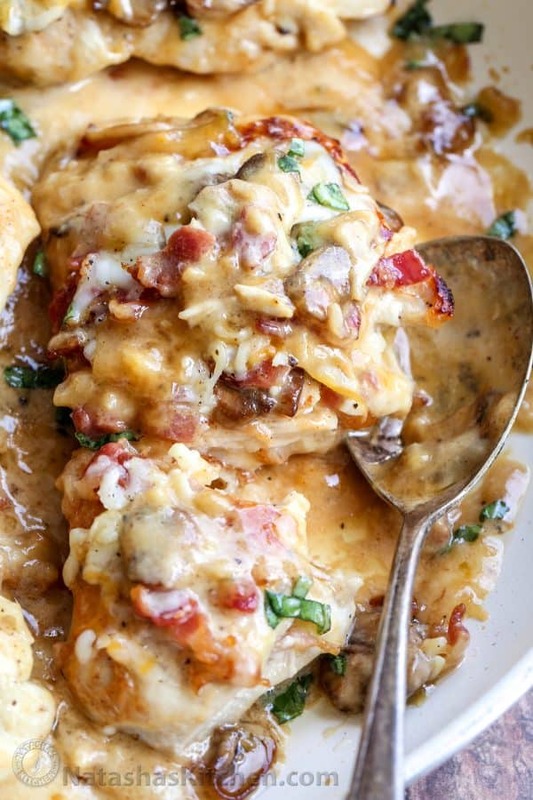 Top stuffed chicken with remaining bacon, mushrooms and cheese. Drizzle sauce over everything. 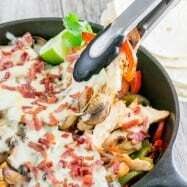 Cover skillet with foil and bake 15 minutes. Remove foil, cook another 2-3 minutes. 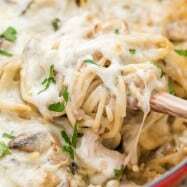 Cheese Note*: Colby Jack, four cheese or Mexican may be used in this recipe. Tip: Use an oven-safe skillet. If you don't have one, transfer chicken at step 7 to an oven-safe dish and continue with instructions. Q: Have you tried making any stuffed chicken recipes? Let me know your favorite in a comment below. Made tonight- it was awesome- but Natasha- hope ok- I made a few additions. First I used pepper jack cheese. I also added fresh basil inside the chicken and fresh basil and parsley on top of the mixture while cooking. When dish was taken out of oven I added green onion. This was so scrumptious. When I make again I will probably make one and a half of the mustard sauce to make sure we have extra. Also because I only use chunk cheese – eye balling it 8 oz was too much- figure if u buy shredded it really is 4 oz of cheese so used between 4-6 oz of chunk cheese chopped into small pieces because plumber here and could not get to my cheese shredder. Looks great – you reference a step 8, did I miss it?